As with autologous therapies, allogeneic products are normally developed to address the needs of a relatively small patient population, with very specific indications. Allogeneic therapies offer some obvious advantages from the production perspective. However, unlike autologous therapies — where the patient and their location are known from the outset — allogeneic therapies can be distributed to patients across a wide geographic area. In many cases, the point of care for a commercial allogeneic therapy is in a different location than the product's clinical trials sites. This presents challenges that are unique to allogeneic therapies, not the least of which is identifying where to position product inventory and distribution channels for delivery to an undefined network of caregivers. In most cases, several CMOs and other partners contribute to the allogeneic production process, so at least the different links in the upstream supply chain are known. The challenge becomes understanding the storage and distribution environment necessary to deliver product to the patient — and what capabilities and distribution partners are needed to ensure the safety and integrity of product across the chain of custody. When developing a supply chain strategy and risk assessment plan, it is advisable to understand each of these entities and their roles and related responsibilities. As with all supply chains, the key is understanding the different participants, taking into account the locations, product/material profiles, and transportation options between these links in the chain. As always, a team approach is imperative. Include all participants (internal and external) in the definition of the overall process to include any activities and entities that contribute to — or could potentially impact — the seamless flow of material and product across the production life cycle. From a supply chain perspective, the production process is relatively simple, in many cases including a single site for the production of the drug substance. This, in turn, can be transformed into a drug product, filled into the unit of administration, packaged into primary and secondary pack components, and stored for distribution to market. As with most biological products, there are temperature constraints. 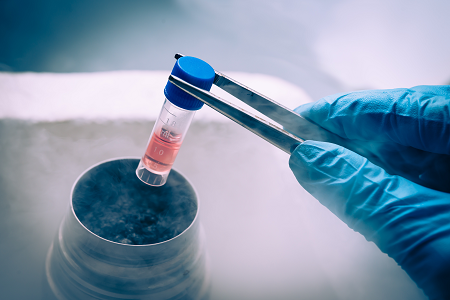 Temperature ranges to be maintained vary across the process steps, from acquisition of the initial starting materials, development of the master cell bank, production of the drug substance, formulation and filling of the drug product, final packaging, and distribution. Personal experience has confirmed these ranges can vary from ambient or controlled room temperature (CRT), cryogenic, frozen (at a variety of ranges), and 2 to 8 degrees Celsius. It is therefore important to define the end-to-end supply chain. Defining activities, process steps, elapsed time, and product profile at rest and in transit provide the baseline. This should then be extended into best- and worst-case scenarios, highlighting risk factors that could negatively impact production, packaging, storage, distribution, and final delivery to the patient. For new compounds that are developed to meet the needs of a specific, very small patient population, in many cases the biggest challenge is predicting the demand cycle. Clinical trials provide an indication of the potential location for initial qualification and treatment of patients. However, as many of the patient treatment sites are related to the clinical trial partners, this does not provide the indicators needed to identify the steps along the patient journey, from diagnosis to remission. Many of these therapies require a weekly or biweekly infusion to be performed in a clinical location. This is a challenge for patients who are critically ill and need to travel to ensure ongoing treatment of their condition. Ideally, once their condition has improved the dosing regimen can be performed at a location closer to home — including local providers and clinics. This presents its own challenges, not the least of which is identifying a potential patient population, geographic location of clinical studies, and treatment sites for delivery of the final drug product to the patient. Selecting appropriate partners for initial product introduction requires an understanding of the complexity of the patient journey and the product life cycle — in many cases these products have a relatively short shelf life. Strategies should include processes and procedures for the return and destruction of product, in compliance with the FDA, European Medicines Agency, and other regulators. Another challenge from a storage and distribution perspective is that longer-term point of care requires the supply of the product to locations that can be geographically diverse. As such, the new product introduction strategy should take into account different transportation and delivery models, in many cases requiring several modes of transportation (road and air) as well as multiple handover points in the chain of custody. Supply chain planning should allow for different environmental hazards, integrating appropriate packaging, labelling, and time and temperature monitoring devices into the physical distribution model for each origin/destination pair. Distribution is further complicated by the requirement in the U.S. for pharmaceutical distribution licenses for each state. When introducing a product to market, predicting geographic demand and applying for the appropriate licenses for each state can be costly and time-consuming. An alternative is to work with specialized third-party logistics companies that are licensed in all states and have the necessary infrastructure in place. The overall supply chain strategy needs to take into consideration the initial launch stocks required to meet anticipated demand and to have a sufficiently flexible supply network to respond to variability in supply and demand. One strategy is to maintain the primary product inventory at a single global location. Variations in packaging configurations for different geographic regions can be addressed through postponement, performing the final packaging, labelling, and shipment to point of demand using just-in-time fulfillment models. When faced with these challenges, most companies enlist the services of third-party logistics partners that have specialized capabilities. Services can include packaging, labelling, storage, repackaging, and final delivery to customers. In the U.S., the primary distribution channels include many different value-added services. This was well-defined in a report prepared by the HDA Research Foundation (https://www.hda.org/foundation). 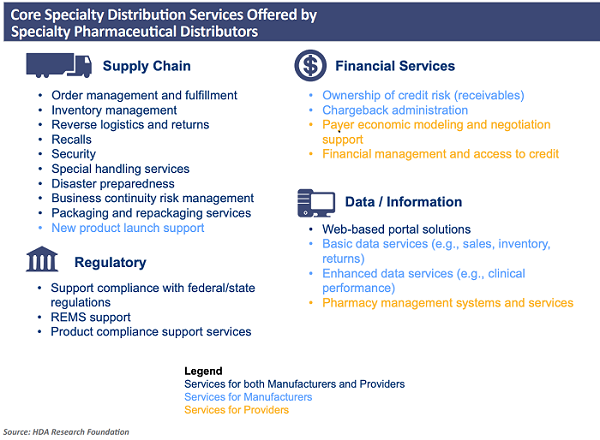 Figure 14 illustrates some of the specialty distribution services available. Unlike autologous therapies, where the vein-to-vein supply chain requires an audit trail for the specific chain of identity for unique patients, allogeneic therapies have the advantage that a single batch can be manufactured, stored, and distributed to meet the needs of multiple patients. Although it is still critical to ensure each step in the chain of custody is identified, monitored, and controlled, there are many advantages, not the least of which is the ability to maintain inventory in regional locations to meet the needs of a larger patient population. Collaborating with all participants in this chain of custody to share supply and demand data in near-real time provides the flexibility to balance fluctuations in supply and demand. Obtaining a more detailed view of constraints and challenges across specific shipments, distribution channels, and activities provides a baseline for better planning and remediation in the event of a problem. The concept of the "control tower” is well-known in supply chain management. The detailed item- and shipment-level data that is captured provides a real-time and historical view across the shipment life cycle, a value that cannot be overestimated. Serialization should take place at the secondary or salable unit to enable product verification across the chain of custody. By law, pharmacy dispensers must verify product identity prior to dispensing. Safety elements, including tamper-evident packaging and labels, must also be verified. Reporting — Reporting of product code, batch lot, expiry date, doses per pack, target market, and serialization detail must be done to the European Medicines Verification System to verify identity of pharmaceutical products for sale in the EU. In some cases, it is also necessary for supply chain partners to perform parallel reporting. The DSCSA is Title II of the Drug Quality and Security Act that came into force in 2013. The DSCSA defines the implementation model for an interoperable electronic system to authenticate and track marketed prescription drugs in the U.S. By 2023, this will enable serialized traceability for individual packages across the commercial supply chain. In addition to these regulations, there are others in place and pending in areas across the globe. What they all have in common is increased oversight across the global chain of custody, with requirements to authenticate, monitor, and control the medicinal substances patients depend on. Although these regulations have increased costs for the packaging, labelling, and distribution of products, there are many benefits in addition to the obvious ones of ensuring the integrity of the product and patient safety. As shipments move across the links in the extended supply chain, access to timely and accurate information becomes an enabler for process improvement and efficiency. For example, item- and product level-visibility — integrated into advanced receiving notifications (ASNs) — can facilitate the allocation of appropriate personnel and equipment needed to ensure that products do not experience delays on the receiving dock and can be placed in a secure storage location. Integrating these ASNs with warehouse management and other supply chain applications streamlines operational procedures and can also provide alerts to ensure that the appropriate QA and other personnel are available at the time of delivery. Conducting a risk assessment at different stages in the product life cycle is an obvious best practice. Having access to ongoing detailed information related to issues, constraints, and impact provides data that can be used as a framework for “what-if?" scenario planning. Understanding the likelihood and impact of changes across the product and shipment life cycle enables the adjustment of transportation planning, packaging, and other areas that impact the safe and secure delivery of product to patients. Using a risk assessment framework and communicating mitigation strategies across the supply chain network enables the flexibility and control needed. inspection and QA process — evaluation of excursion data from time and temperature loggers. Evaluate the different configurations of networks and their relationship to the distribution models to successfully deliver each dose to point of care. Prepare for a variety of demographic and geographic differences as new products are introduced and adopted by the community of caregivers. Build a robust supply partner network to ensure variations in supply and demand will not impact the availability of product at "point of patient." Understanding the differences between the traditional pharmaceutical supply chain models and those necessary to meet the complexity of allogeneic therapies is the first step on the road to successfully delivering on the promise of these amazing products. PDA Technical Report No. 39, Guidance for Temperature-Controlled Medicinal Products: Maintaining the Quality of Temperature-Sensitive Medicinal Products through the Transportation Environment, 2007. PDA Technical Report No. 46, Last Mile: Guidance for Good Distribution Practices for Pharmaceutical Products to the End User, 2009. PDA Technical Report No. 52, Guidance for Good Distribution Practices (GDPs) for the Pharmaceutical Supply Chain, 2011. PDA Technical Report No. 53, Guidance for Industry: Stability Testing to Support Distribution of New Drug Products, 2011. PDA Technical Report No. 58, Risk Management for Temperature Controlled Distribution, 2012. Carla Reed is a supply chain professional with more than 25 years of experience providing leadership and program management across a variety of functional areas for the life sciences industry. Her broad range of experience and expertise has provided solutions for pharmaceutical and biotech companies challenged by the growing complexity of extended supply chain environments. Her firm, New Creed LLC, provides change leadership to facilitate sustainable solutions, providing hands-on experience in all aspects of supply chain operations. You can email her at carla@newcreed.com or connect with her on LinkedIn.